Despite having one of the league’s best players and most expensive payrolls, the Knicks fell short of the postseason and now face a franchise-changing crossroads this offseason. Despite boasting the league’s second-most expensive roster and one of the best scorers in the game, the Knicks floundered to a 37-45 record, missing qualification for the playoffs in the weaker Eastern Conference by two games. New York remained a so-so defensive team, finishing the season ranked eighth in points against (99.4 – they were seventh last season), but at the 24th worst efficiency (109.1). Mike Woodson’s men were excellent guarding opponents within the three-point line, allowing the fewest attempts and makes, but that counted for little as they gave up the third-most three-point makes at the fourth-worst percentage against in the league. 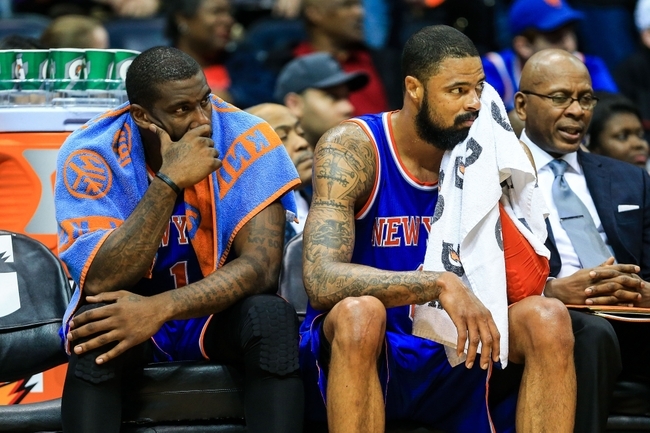 The free-scoring, long-bombing Knicks of last season were all but forgotten this season. After finishing last season 11th in points per game (at the third-most efficient rate), New York fell to 20th (98.6) and 11th (108.3) respectively this season. While they remained amongst the league leaders, the Knicks lost their golden touch from beyond the arc this season. In 2012-13 New York hit the most three-point field goals at the fifth-best percentage in the Association. This season, those numbers fell to seventh in both categories. Meanwhile, NY remained at the bottom of the league in two-point scoring (29th in makes), free throws (28th in makes), rebounds (27th) and assists (28th). Offseason addition Andrea Bargnani failed to have the impact many hoped he would, stumbling to 13.3 points and 5.3 rebounds while shooting a measly 27.8% from downtown in just 42 games. Likewise, reigning Sixth Man of the Year JR Smith (14.5 points, 4.0 rebounds and 3.0 assists) didn’t come close to matching his scintillating form from the season before, while point guard Raymond Felton (9.7 points, 39.5% FG and 5.6 assists) battled with on court form and off court drama throughout the season. High-priced big men Tyson Chandler and Amar’e Stoudemire struggled with niggling injuries and never truly hit full stride during the season. Chandler (8.7 points and 9.6 rebounds through 55 games) produced his lowest statistical numbers since joining the Knicks, while Stoudemire’s 11.9 points and 4.9 rebounds through 65 games were handy, but well below his $21.6 million price tag. Rookie Tim Hardaway Jr. provided an offensive spark in limited minutes, averaging 10.2 points and 36.3% 3FG for the season. But the likes of Iman Shumpert (6.7 points, 4.2 rebounds and 1.7 assists), Pablo Prigioni (3.8 points and 3.5 assists), Kenyon Martin (4.3 points and 4.2 rebounds) and the waived Metta World Peace (4.8 points) failed to have much of an impact throughout the season. Carmelo Anthony may have missed the postseason for the first time in his career, but his valiant efforts to keep New York afloat should not be disregarded. For the year, Melo averaged 27.4 points (second in the league), 8.1 rebounds (a career-high and first amongst small forwards) and 3.1 assists while also shooting 40.2% from deep (17th in the L). He also connected on the third-most field goals, sixth-most free throws, 16th-most three pointers, played the most minutes per game and finished with the seventh-best Player Efficiency Rating despite being saddled with the third-heaviest usage percentage in the league. 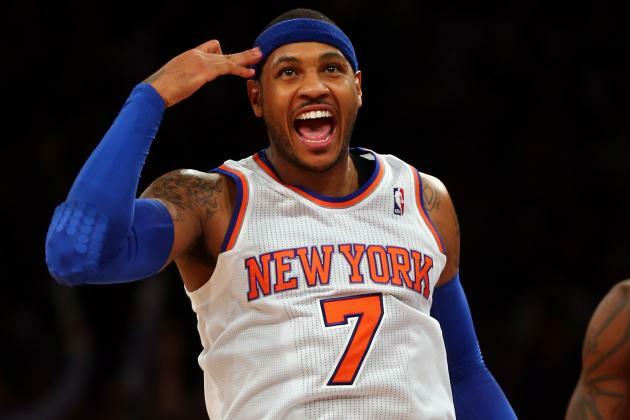 Now that is a lot of statistical jargon, but the impact Carmelo had on this New York team goes beyond statistics. It is frightful to imagine how the team would fare without him. On January 24, Anthony exploded or 62 points and 13 rebounds in a 29-point win over the team formerly known as the Charlotte Bobcats, setting a career-high, Knicks franchise record, Madison Square Garden record and NBA season-high for points scored by an individual in the process. Only a select few players in the history of the league, let alone current players, can boast a similar outing. For all his defensive deficiencies and his team’s lack of success this season, it is hard to question Anthony’s heart and desire. His fellow ’04 draftees might be vying for rings, but they haven’t been saddled with the ‘teammates’ Melo has had throughout his career. Many people heap New York’s shortcomings on the former Syracuse standout’s shoulders, but to deny Carmelo Anthony’s superstar status would be foolish. The salary cap has been the Knicks biggest foe since Anthony came across from the Denver Nuggets. 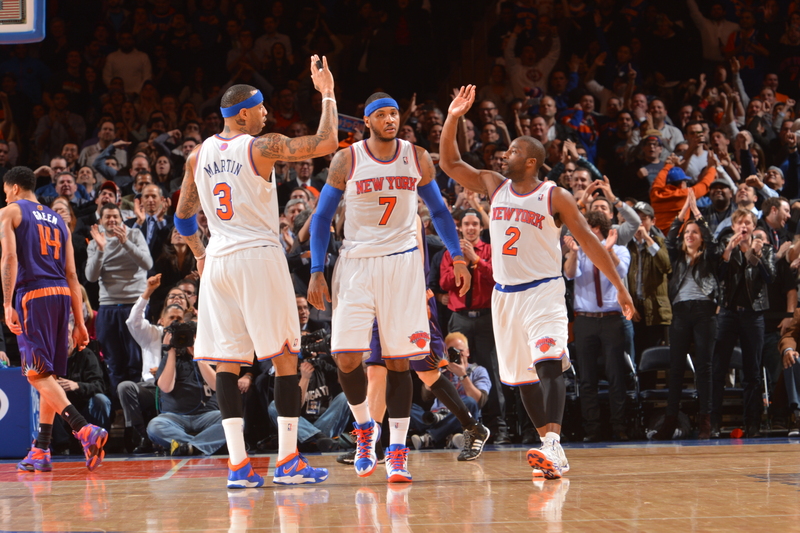 This season, New York shelled out over $88 million for the ninth best team in the Eastern Conference. Or in other words, NY paid $2,383,472.81 per win – the San Antonio Spurs forked out less than half that ($1,017,998.56) for each victory. The underperforming frontcourt of Stoudemire, Chandler and Bargnani made $46.8 million between them this season – only $8.8 million less than the entire 48-win Phoenix Suns team. New York’s top-heavy salary structure severely restricted their ability to restructure the roster when the team was struggling. Bringing in Bargnani during the offseason only further compounded the issue and has put the team at risk of losing their biggest star in the offseason. The Knicks 2014 lost their first round pick (11th overall) to Denver as a lingering part of the Carmelo trade. However, they may have snagged the steal of the draft with the 34th overall pick, jumping at the chance to sign Wichita State sophomore Cleanthony Early, who averaged 16.4 points and 5.9 rebounds per game in his final season with the Shockers. Meanwhile, they also delighted fans by selecting Thanasis Antetokounmpo (12.0 points, 4.3 rebounds, 2.1 assists, 1.2 steals and 1.3 blocks per night for the Delaware 87ers last season) with the 51st pick. However, with no salary cap space to work with and add to their second-round steals this offseason, operation “Re-sign Carmelo Anthony” becomes even more crucial for New York during free agency. The Knicks do have several aces up their sleeves. New York has 30 million reasons that Anthony should return to the Big Apple. No other team can match the amount of salary that NY can throw at Melo, who can offer an extra year and $30 million more than any other suitor. Winning matters, but money talks. The Knicks can offer that max deal straight off the bat, while other potential destinations like Houston and Chicago need to manipulate their roster just to put forward a smaller deal. The salary cap situation seems disastrous for the Knicks, and rightfully so, but after next season they can shed over $50 million in salary between Stoudemire, Chandler and Bargnani. Throw in $9.9 million worth of Smith and Felton’s player options there could be roughly $30 million for New York’s front office to build around Anthony. Another losing season might be hard to stomach, but what is one more year of waiting when you have an extra $30 million in your pocket? Meanwhile, the addition of Phil Jackson to the front office as team president could also weigh heavily into Anthony’s decision. 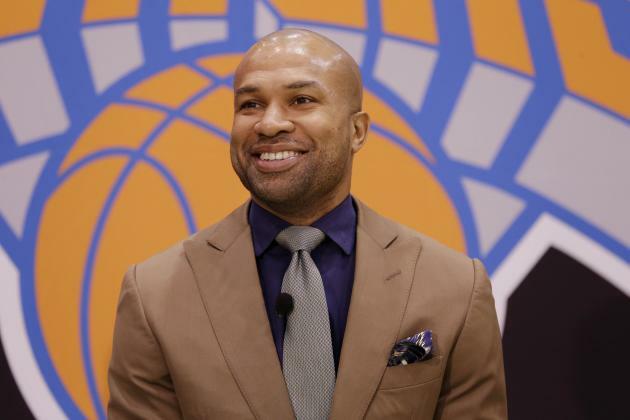 Jackson has already started to implement his structure to the organisation, hiring former Derek Fisher – who won five championships playing under Jackson in Los Angeles – as head coach, and could entice Melo to stay and play at the focus of his famous triangle offence. The other bonus New York has stumbled onto is the recent news that Kevin Love is looking to leave Minnesota. Many teams might shift their focus to chasing someone who actively wants to leave their current situation, like Love, rather than courting a free agent who’s preferred destination is still unknown. This offseason, New York find themselves at a cross road, either direction they are forced down will have a drastic effect on the foreseeable future of the franchise.